Top Investment Milan 19 Rooms Hotel rooms has air conditioning, minibar and cable TV in Italy. exquisite architecture, and great hospitality build throughout the years. 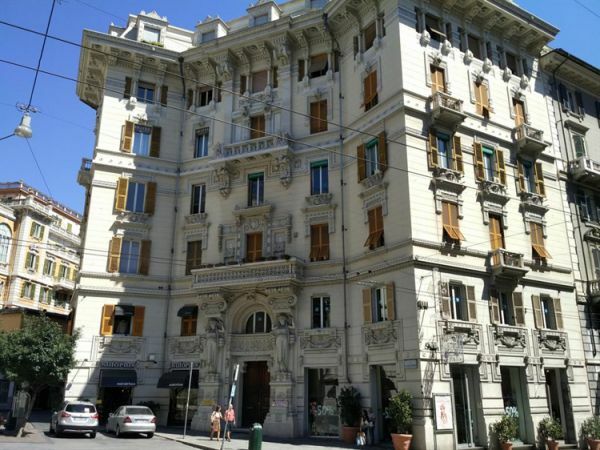 Placed on the 3rd and 4th floor of a beautiful modern baroque style building, build in 1904 in one of the most demanded and calm areas of Genova, based on independent critics. With its 19 modern guest rooms and old, but mesmerizing architecture, this hotel is a charming place for its guests, rated with 9,4/10 for best location* and 9,1/10 overall* among its competitors our Liberty is the choice of most tourists who came to see the beautiful landmark.